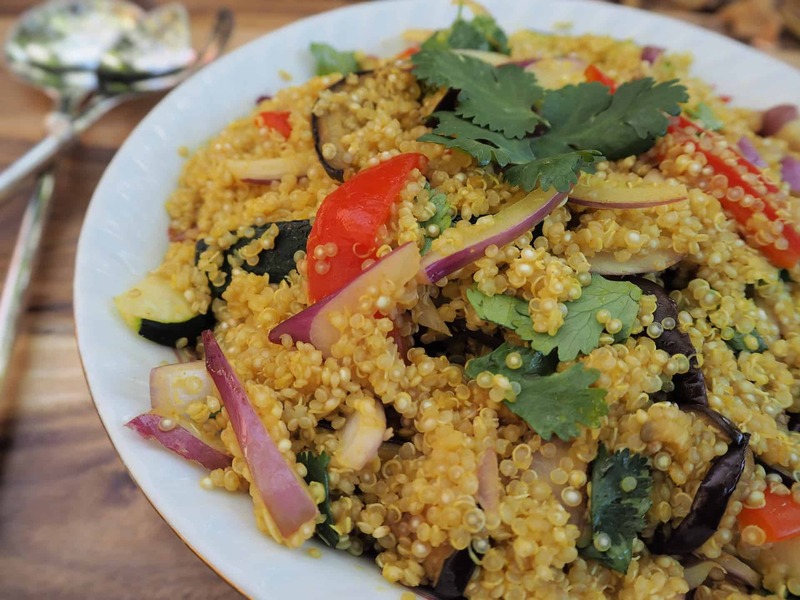 Quinoa is a healthy, high-protein whole grain that cooks like rice. Cook quinoa and toss with 1 Tbsp olive oil and set aside to cool. Then prepare other items and add to quinoa. Whisk mustard, balsamic, garlic, salt and pepper together. Then slowly drizzle the olive oil into the vinegar combo. Add vinaigrette to quinoa salad and mix all together. Place in refrigerator to chill for approximately 20 minutes, then serve.